Bikes Make Life Better is an organization focused on just that. The vision is to integrate bikes into corporate culture to impact people, the planet and profitability. They do this through a combination of consulting, discounted product sales and ongoing operational support. If your company is looking to roll out a program give them a shout and see if they can help you. The Government Center T Stop will welcome commuters and visitors after a two-year renovation. 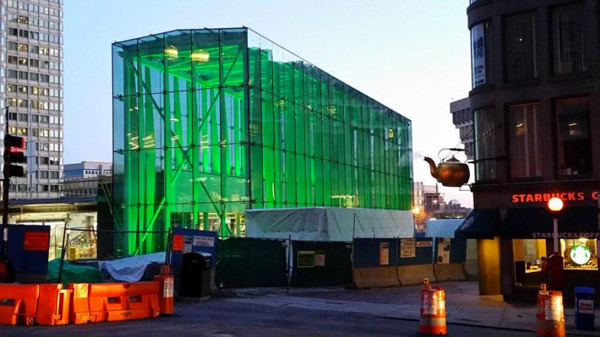 “After sitting shuttered for two years for renovations, the Massachusetts Bay Transportation Authority’s 17th busiest rapid transit station will open after a midday ribbon-cutting ceremony on March 21,” according to an article on Boston.com. In the recruiting arena for tech jobs amenities is key. Nap rooms seem to be the latest amenity being added to the roster. 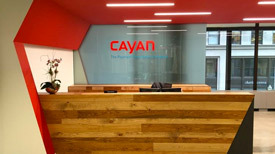 Cayan, a Boston-based payment technology company, has invested $8 million to renovate its offices at One Federal St. in Boston’s Financial District as well as the company’s office in the Northern Ireland capital of Belfast. CEO Henry Helgeson said the renovation was part of an effort to attract and retain top talent — particularly software engineers, which are in increasingly high demand in Boston’s uber-competitive tech world. Lego is amazing and I used it as a kid and my kids now use it. It has evolved in so many ways and I never figured I would work a few blocks for their office which is now located at 501 Boylston Street in Boston Back Bay. There are about 62 LEGO bricks for every one of the world’s 6 billion inhabitants. Children around the world spend 5 billion hours a year playing with LEGO bricks. LEGO bricks are available in 53 different colors. Two eight-stud LEGO bricks of the same color can be combined in 24 different ways. 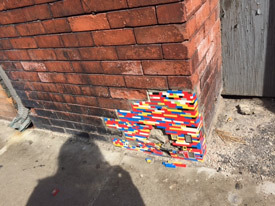 Three eight-stud bricks can be combined in 1,060 ways. There are more than 915 million combinations possible for six 2 x 4 LEGO bricks of the same color. 7 LEGO sets are sold by retailers every second around the world. 40 billion LEGO bricks stacked on top of one another would connect the earth with the moon. 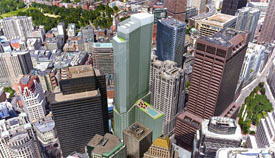 Boston Properties has plans and approvals to add retail amenities to 100 Federal Street in the Financial District. 100 Federal Street was built in 1971 and renovated in 1992. The building consists of 1,323,000 rentable square feet in 40 stories with 205 parking spaces below grade. 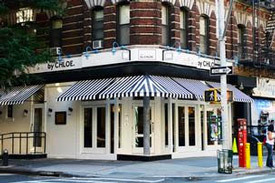 Boston Properties purchased the building in October of 2014 for $877.76 per square foot. The building only has availability on the 33rd floor of 20,095 square feet. 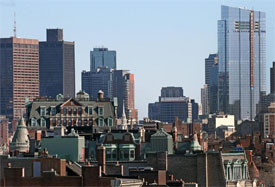 You can read more on the plans on Curbed’s Boston publication. Your bank comes to you, no not via an App or the internet, but rather the roadways. This give a whole new meaning to mobile Banking. Look for this from East Boston Savings to service schools, nursing homes and perhaps areas of Boston’s CBD. East Boston Savings (Nasdaq: EBSB) has asked state regulators for permission to open a so-called mobile banking branch, essentially a bank on wheels, complete with a teller window, ATM, and space for two desks, not to mention security cameras and an alarm system. 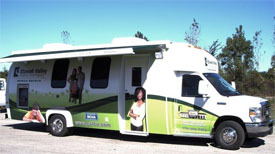 While mobile offices are relatively popular in other parts of the country, only one Massachusetts-based bank in recent memory, Century Bank, has applied for and received approval for a mobile banking unit, and it never put a vehicle on the road, according to the state Division of Banks…Assuming the itinerant office gets the government’s OK, Gavegnano wants to put the branch on the road as soon as May. Four clients have already committed to a weekly visit from the mobile branch, including a manufacturing facility, assisted living facility, and two high schools, and more customers have expressed interest, [East Boston Savings CEO] Gavegnano said. The East Boston Savings branch will be staffed with two tellers and a full-time driver. For more information, Curbed Boston has a breakdown of all eight proposals. Since I am from Boston, I am clearly biased in thinking that this is The Hub. Boston has a wonderful cross section of talent and disciplines that make our collective community diverse as we compete in the public theatre. You can read more on the Boston Globe. Yes, you can. The devil is in the details, and at some point when your head count gets above a certain level you will want to create your own company culture. Over just the past couple of years, we’ve watched modern co-working become a multibillion-dollar industry, seemingly right under our noses. WeWork’s now valued well into the 11-digit range, and attempts to jump into the fray are everywhere, from in-house shared space provided by companies like Silverstein Properties, to small operations popping up outside of traditional office districts. 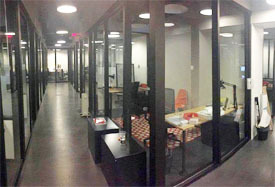 But if part of the point of co-working spaces is to help small companies grow, what happens when they do? The answer: they evolve and develop an internal culture to reflect its products and corporate values.